Home > Episode 1,400: Happy Star Wars Day! May the 4th Be With You! 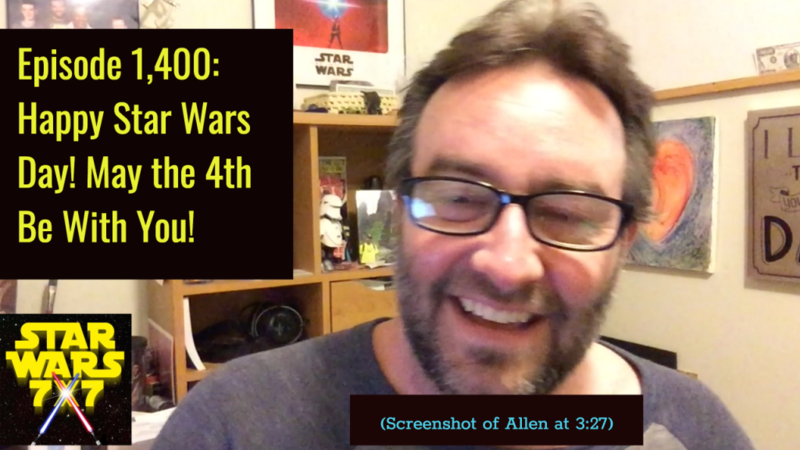 Episode 1,400: Happy Star Wars Day! May the 4th Be With You! Have a listen as I look back at the beginnings of Star Wars 7×7, what we have to look forward to on Star Wars Day this year, and share the results of a game of Mad Libs with Beth Revis, author of the Jyn Erso novel Rebel Rising.